Exempt from CT EPA Regulations on K-8 and Municipal Parks! BotaniGard® and Mycotrol® are unique biological insecticides that are effective against a broad range of insects including white grubs, surface feeders, weevils, chinch bugs, and mole crickets. These products contain the highly successfulBeauveria bassiana strain GHA, a naturally occurring soil fungus that attacks and kills hard-to-control turf pests. BotaniGard is versatile enough to use as a stand-alone or as a tank-mix partner with many conventional pesticides. BotaniGard’s mode of action is unlike any conventional insecticide. Spores adhering to the host germinate and produce enzymes that attack and dissolve the cuticle, allowing it to penetrate the cuticle and grow into the insect’s body. As the insect dies, it will change color and eventually the entire body cavity becomes filled with fungal mass. • Superior formulation – highest spore concentration in a Beauveria-containing insecticide. • Unique mode of action – spores infect directly through the insect’s cuticle. 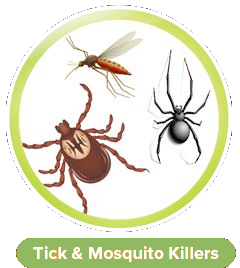 • Insect control which equals or exceeds chemical insecticides. • Cost effective – controls the early stages of insects, preventing population flare-ups and the cost of rescue treatments. • Excellent safety profile – large and diverse crop list and multiple use sites; reduced risk to workers and the environment. 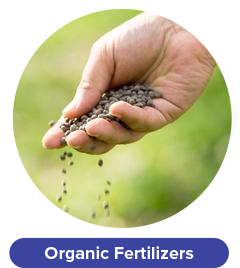 • Compatible for tank-mixes with many pesticides. • Exempt from residue tolerance and has a 0-day pre-harvest interval. 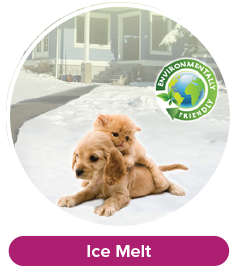 white grub control product and is safe for pets, animals and children. ORTHOPTERA: Grasshoppers, Locusts, Mole Crickets, Mormon Crickets. WHITEFLY: Banded-winged Whitefly, Cassava Whitefly*), Citrus Blackfly, Citrus Whitefly, Giant Whitefly, Greenhouse Whitefly, Silverleaf Whitefly, Sweet Potato Whitefly (aka Tobacco Whitefly). APHIDS: Bean Aphid, Cabbage Aphid, Cowpea Aphid, Green Peach Aphid, Greenbug, Hop Aphid, Melon/Cotton Aphid, Pea Aphid, Potato Aphid, Rose Aphid, Russian Wheat Aphid, Spotted Alfalfa Aphid. THRIPS: Greenhouse Thrips, Cuban LaurelThrips, Pear Thrips, Potato/Onion Thrips, Thrips Palmi, Western Flower Thrips. PSYLLIDS: Pear Psylla, Tomato/Potato Psylla. MEALYBUGS: Citrus Cocci*, Citrus Mealybug, Buffalo Grass Mealybug, Grape Mealybug, Longtailed Mealybug. LEAFHOPPERS AND PLANTHOPPERS: Grape Leafhopper, Leafhoppers, Planthoppers, Potato Leafhopper, Rice Delphacid*, Variegated Grape Leafhopper, Virginia Creeper Leafhopper. STEM-BORING LEPIDOPTERA: European Corn Borer, Lesser Cornstalk Borer, Rice Stem Borer, Southwestern Corn Borer, Sugar Cane Borer. FOLIAGE-FEEDING LEPIDOPTERA: Diamondback Moth, Cabbage Looper, Fall Army Worm*, Imported Cabbage Worm. LEAF-FEEDING BEETLES: Bean Leaf Beetle, Cereal Leaf Beetle, Colorado Potato Beetle, Corn Rootworm, Cucumber Beetles, Elm Leaf Beetle, Flea Beetles. 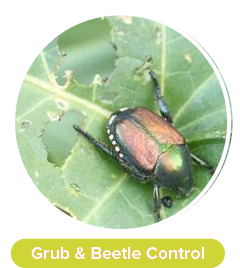 SCARAB BEETLES: Atenius, Green June Beetle, White Grubs. PLANT BUGS (HETEROPTERA): Chinch Bugs, Fleahoppers, Lace Bugs, Lygus Bug, Seed Bugs, Stink Bugs, Tarnished Plant Bug. WEEVILS: Alfalfa Weevil, Apple Curculio, Billbugs, Black Vine Weevil, Citrus Root Weevil, Coffee Berry Borer*, Cotton Boll Weevil, Fuller Rose Weevil, Palm Weevil*, Pecan Weevil, Pepper Weevil, Plantain Weevil*, Plum Curculio, Root Weevil, Rose Curculio, Strawberry Root Weevil, Sweet Potato Weevil, Vegetable Weevil. *Not for use in California. • Outdoor Field or Row Crops: Apply at a rate of 1/2 to 1 quart of BotaniGard per acre in 5 to 10 gallons per acre. 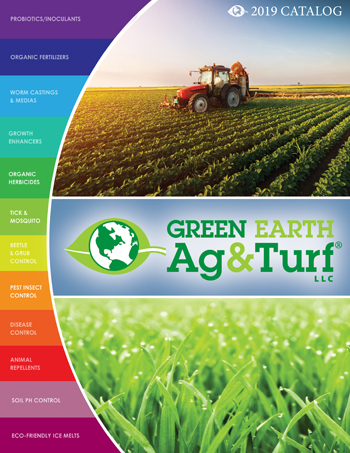 • Turf: Apply at a rate of 2 to 8 ounces per 1,000 square feet. Apply in sufficient water to cover area, at least 1 gallon per 1,000 square feet is suggested. In all cases, shake BotaniGard and Mycotrol O very vigorously and long enough to resuspend spores or loosen up the powder for best results. Frequency: Apply BotaniGard at 5-10 day intervals. High insect populations, especially whitefly and aphids, may require application at 2-5 day intervals. Repeat applications for as long as pest pressure persists. There is no limit on the number of applications or total amount of BotaniGard ES which can be applied in one season. BotaniGard controls a wide variety of soft-bodied insects on turf and in greenhouse, field and nursery crops. 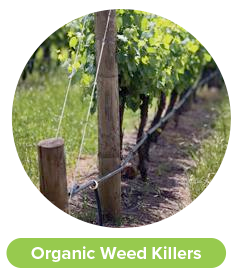 It has excellent plant safety on a broad range of crops and turf. There is no limit to the number of times that BotaniGard can be applied in a season. A weekly application program can prevent insect population explosions and provide a level of control equal to or better than conventional chemical programs. ¼ to 1 tsp./gal./10 sq.ft. 1 quart and 1 gallon containers. 1 pint, 1 quart and 1 gallon containers. 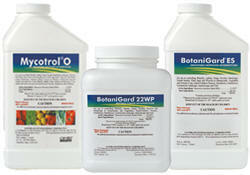 BotaniGard is compatible with many products commonly used in tank mixes by plant, tree and turf care professionals. Our scientists have tested various products for tank mixing compatibility. Please see the chart below. If you have questions or compounds that you would like to mix with BotaniGard or Mycotrol and do not see them on our list, please contact us.